The group of sharks is extremely varied, with these complex and wonderful animals being widespread in a number of different aquatic habitats. Most shark species prefer warm waters and their diversity decreases slightly towards the colder regions, but they are very common in every ocean and sea around the world. They are actually so widespread and adaptable that some species can be survive in freshwater or in brackish water as well, while others migrate over huge distances and spend time in warmer and colder waters alike. The tropical waters serve as the preferred habitats for the majority of shark species. With water temperatures constantly ranging between 21-30 degrees C (70-86 F), these waters provide plenty of food for sharks, so there are many shark species that remain in these areas, enjoying the comfort and abundance of the Tropics. Especially the waters around Cocos Island, Costa Rica, are perhaps the best example – these continuously warm waters give home to over 40 shark species, including the scalloped hammerhead shark and the white tip reef shark. Out of the almost 500 shark species known today there are eight species that live only in polar waters, in temperatures that never rise above 5 degrees C (41 F). Greenland sharks, for example, the northern-most shark species in the world, have adapted marvelously to life in the icy waters; what’s more, they are able to survive only among these harsh conditions, in the freezing waters around Canada, Norway, Iceland and Greenland. Other polar sharks include the salmon shark, the blue shark and the basking shark. The waters that stretch between polar regions and the tropics are a mix of hot and cold water. 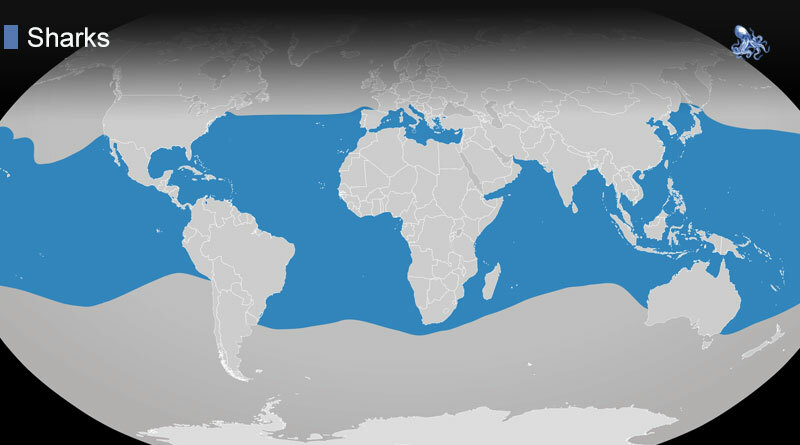 This large area is characterized by seasonally changing temperatures and is inhabited by the most adaptable sharks. There are more than 100 shark species that live only in temperate waters – some of them might venture to tropical or polar areas, but they spend most of their time in the temperate region. 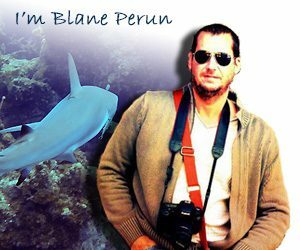 There are numerous shark species that are permanently in movement, without having a preferred habitat or temperature range. 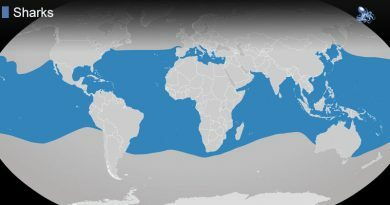 Blue sharks, for example, are world travelers, known to cover at least 3,740 miles as they migrate from New York to the coasts of Brazil, from warmer to cooler waters and then back again. The great white shark is another species that likes travelling – one of them, a female shark named Lydia, was tracked and tagged by researchers as she was swimming across the Atlantic Ocean, from one side to the other. Though the water of rivers is not an environment that commonly comes to mind when thinking about where sharks live, there are a few species that prefer only freshwater habitats. River sharks are quite frequent in Southeast Asia, in Australia and in New Guinea, while bull sharks have been encountered in the rivers and lakes of South Africa, Kenya, Australia, as well as in Peru, Bolivia and India. They live in the waters close to the shore, some of them even in brackish waters where salt water and freshwater mix in the estuaries of the larger rivers.